We have all seen it at one time or another. A two-year-old falls to the ground, kicking, screaming, and throws a bit hissy fit. Anytime I have seen this, I can’t help but feel embarrassed for the child and the parents. A fit is one of the ultimate displays of immaturity. However, despite the fact that we get older, adults still throw hissy fits. Yesterday evening, the New York Knicks played the Miami Heat in game two of the NBA playoffs. The Kicks came up short and are now down two games for the series. Naturally, everyone on the Knicks team was upset and frustrated, but Amare Stoudemire took it to a different level. Minutes after the end of the game, Stoudemire took his anger and frustration out by punching the glass case around a fire extinguisher. We might go so far as to say that he threw a hissy fit. The results of the situation are pretty detrimental. 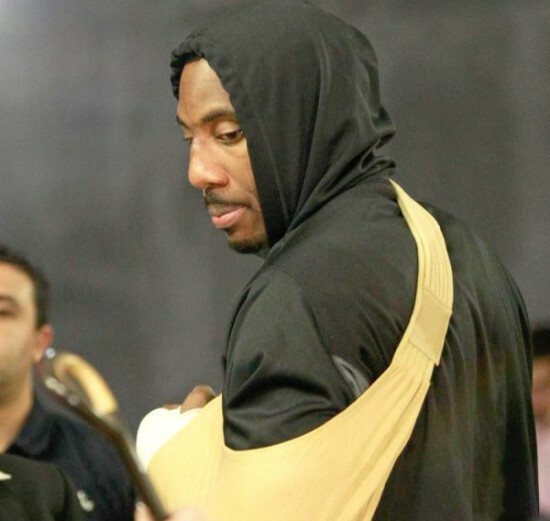 Stoudemire has several lacerations on his hand which required stitches. He will miss the next game and possibly the rest of the playoffs. His selfish move cost his team one of their best players and probably will result in them getting knocked out of the playoffs. The situation was bad being two games down to a very good Miami team, but the situation now is much, much worse because Stoudemire threw a fit. Hurtful words (Matthew 5:22; Proverbs 15:1). Revenge (Matthew 5:38-48; Romans 12:9, 17-21). Any other sin (Colossians 3:8; Ephesians 4:26). While it comes in a less obvious form, we are kidding ourselves if we think adults don’t throw fits of anger. Kids throw fits because they didn’t get their way, are being selfish, and make a public display of their disapproval. Adults are also in situations where they didn’t get their way, are selfish, and decide to make a public display of their feelings. All things considered, there is very little difference. Most times, the root of our anger is selfishness. Something didn’t go MY way, or something happened to ME that I don’t like. Stoudemire isn’t a bad guy; he just made a bad decision. I appreciate his comments afterwards on his twitter account, “I am so mad at myself right now. I want to apologize to the fans and my team, not proud of my actions. Headed home for a new start.” Time will tell whether Stoudemire will control his anger or not, but at least he recognizes he was out of place and is looking towards improvement. We have all lost control of our anger, and yes, even thrown adult hissy fits. The question is, “What steps are you going to take to have better self-control over your anger” (Galatians 5:22-23; 2 Peter 1:5-7)?